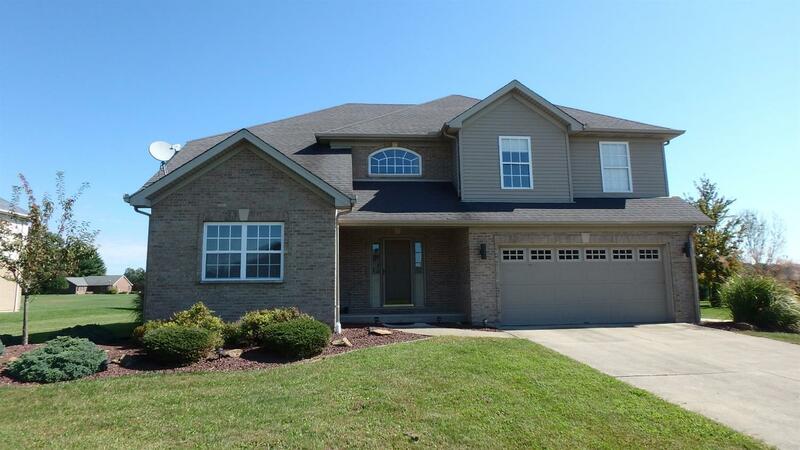 4BR Transitional w/5 car garage perfect for hobbyist or collector. Open foyer w/hdwd flrs, sun lit great rm w/soaring ceilings & gas fpl, eat-in kit w/island counter bar & pantry. Owner's Ste w/luxurious bath, whirlpool & walk-in closet. Impeccably built 30x40 gar w/electric, water & 2nd flr loft boasts quality thruout.